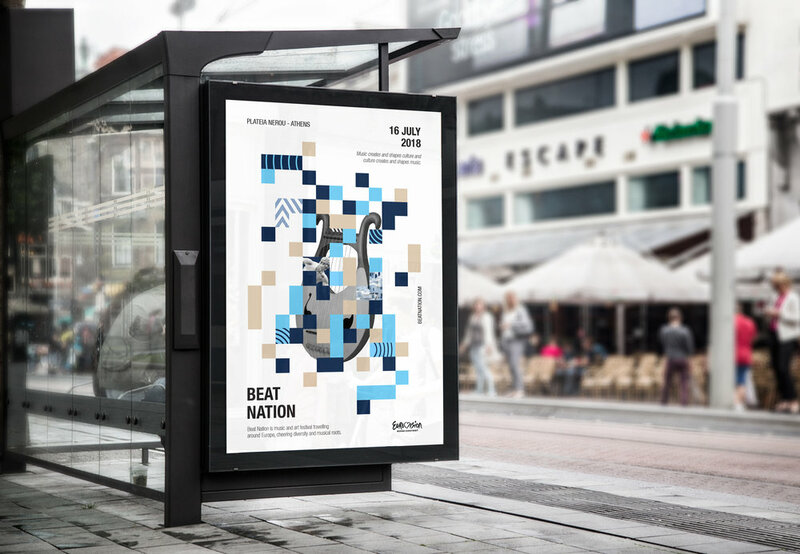 Beat Nation is a student brief for a campaign that would change the current image problem of Eurovision. Eurovision has recently been the subject of criticism regarding both its musical and political content. My idea was going back to the roots and connecting culture and music back together. I was inspired by the quote: "Music creates and shapes culture and culture creates and shapes music".